Made from the crappiest plastic, and with difficult-to-operate clips, I sure doubt it is made under license from Tanos (which is the systainer division of Festool). There is no doubt in my mind that its design is firmly based on copying the Festool systainer, as cheaply as possible. I’m sure they’ll sell like hotcakes at Harbor Freight. How much is that crappy plastic? 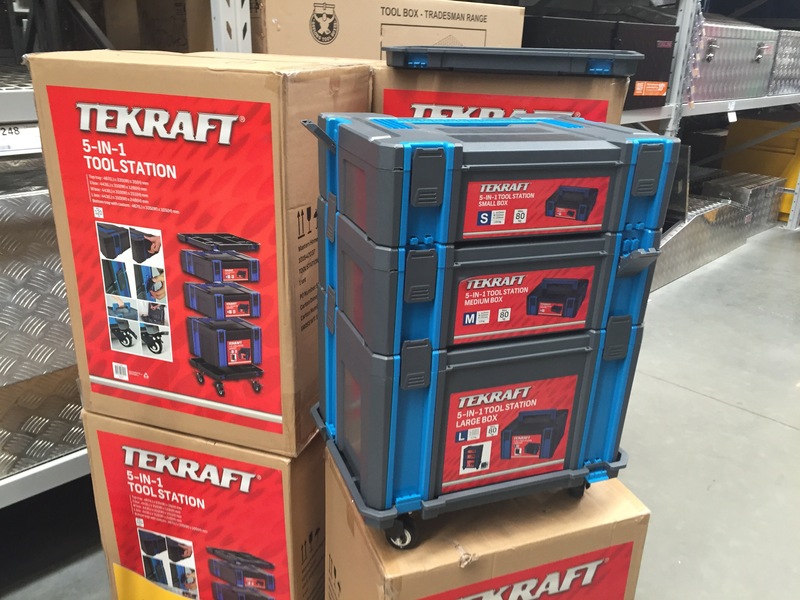 I never understood the Systainer idea, when did we stop making our own toolboxes? Festool did publish plans for timber systainers, I think you had to be a registered user on their German forum to access them but the internet being what it is, if you know where to look you can find them. Makita also have used the Tanos systainers, in the older style not T-lok. You can find them for a bit less than the Festool ones.